Oklahoma State University’s online MBA program and other online graduate programs in the Spears School of Business were once again recognized among the nation’s best in the 2019 U.S. News and World Report Best Online MBA and Graduate Business Program rankings. The OSU online MBA program is tied for No. 38 and is second among Big 12 Conference schools. Also, OSU is tied for No. 39 in the Best Online Graduate Business Programs (excluding MBA) rankings, and again is second among Big 12 schools. “I am pleased at our continued recognition in the highly competitive online MBA marketplace,” said Dr. Ramesh Sharda, vice dean of the Watson Graduate School of Management. “We continue to innovate in the program by offering more engagement opportunities for students regardless of where they are located. 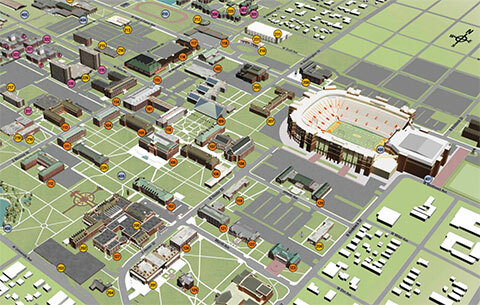 OSU’s online programs were among more than 1,200 programs surveyed by U.S. News. The online rankings methodology takes into account a number of factors including admission data, graduation rate, faculty information, student services, technology, and reputation among accredited business school leaders. Visit the website to learn more about the OSU online MBA program.